If inertia in a horizontal position is your work life balance of choice, NASA may have just the career opportunity that you’ve been looking for. The space agency is currently looking for recruits to boldly do nothing for 70 days straight. NASA is researching the effects of microgravity on the human body as it explores the future of long distance human space travel. The job description is to spend 70 days in a tilted bed where the successful applicant would have sixteen hours of light a day and eight hours of darkness. Access to computer games, TV, books, the internet and visitors is permitted, and all food is provided to keep you at a constant weight. Though when they say constant weight – the total lack of exercise may either led to some weight gain or the experiment parameters may require a cut in portion sizes to offset the lying down all day. The devil is in the detail. A spongebath of sorts is also apparently on the cards. Scientists would carry test for any changes in bone, muscle, circulation, nutrition and the immune system as well as conducting a ‘countermeasure and function testing’ study, that will monitor how different movements can effect muscle size and strength, bone health, and cardiovascular function. At the end of the 70 day period, a 14-day rehabilitation period would begin in order to restore the body to full health. This is not the first time such an opportunity has become available. Pillownaut Heather Archuletta has taken part in the study three times. 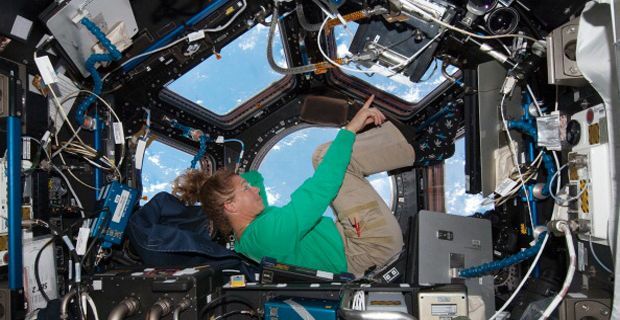 ‘I'm a very active person, so it's difficult to be restricted to bed sometimes, but many of us are willing to do it for the sake of future space exploration,’ she wrote on her blog. ‘The... money... is... pretty freaking awesome, however. About $5,000 per month, which is great if you've just graduated, can't find a job, are between jobs, or just plain love space exploration,’ she added.